At the end of March, the European Commission will host the start of the third edition of the European Capital of Innovation award, to choose the city that will be with Barcelona (2014) and Amsterdam (2016) in this exclusive ranking. This year, the new Innovation Capital will receive a prize of 1 million euros to expand its activities in this field, while the second and third classified will receive € 100,000 each. Registration can be submitted until 21 June 2017. The contest is open to cities of the EU member states or countries associated with the program of research and innovation in the EU Horizon 2020, and with more than 100,000 inhabitants. 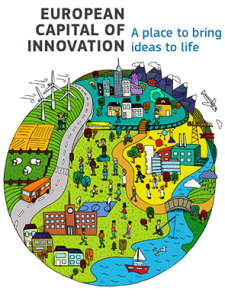 The Terrassa City Council, this 2017, has organized the first edition of the Muncunill Innovation Awards, initiative with the aim of bringing innovation to the public, as well as recognize the work of those individuals, organizations or companies that have committed to innovation as a model for this comprehensive and applicable to our everyday life. In the first edition of the award by the European Commission, Terrassa was one of the 58 cities of the continent candidates.